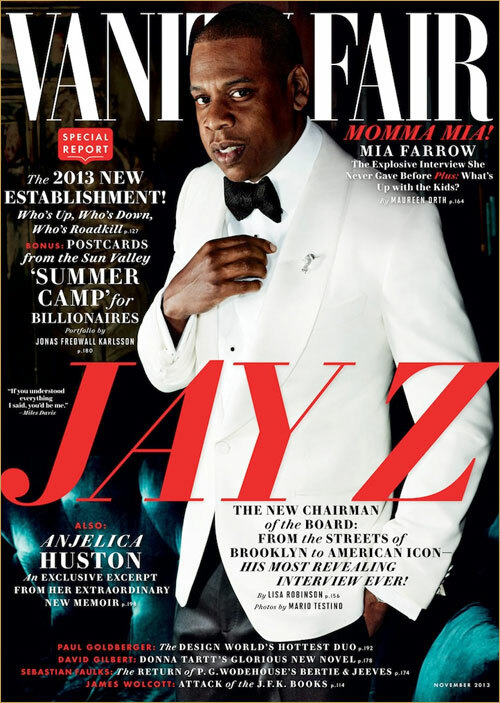 Jay Z Lands Cover of Vanity Fair; Talks Charming Beyoncé, Blue Ivy’s Music Preference, and More! Jay Z covers the November issue of Vanity Fair, donning a sleek white blazer paired with a bow tie that would make new pal Justin Timberlake proud. In the cover story by Lisa Robinson, the usually private rapper opens up about his life as a dad, early years as an adolescent in Brooklyn, selling drugs, and life as a Sports Agent. Jay’s cover feature is being touted as his most personal one to date. Pick up the issue when it officially hits newsstands October 8. Previous articleAre You Copping The Air Jordan XII “Gamma Blue” This Thursday (12/26)?